But real estate experts at Chicago’s State of the Market event also noted a looming recession has made the future "uncertain" and "scary"
With a shifting housing market, increased competition from technology-based companies and a looming economic downturn, there’s a lot coming at Chicago brokers. 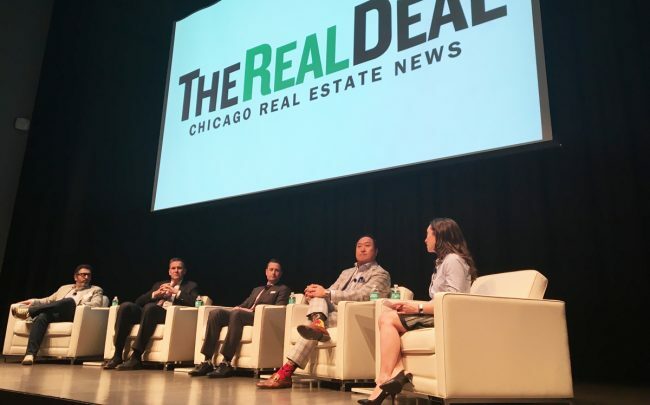 Instead of fretting about those market forces, the best way for brokers to thrive is to focus on their own personal business, a panel of real estate experts said at The Real Deal’s Chicago State of the Market forum Tuesday. Housing sales in the Chicago market saw a slight drop last year, and 2019 is forecast to have an even weaker market. On top of that, brokers are dealing with increased competition from discount, online-based brokerages like Redfin and technology-based buyer models. There are also a slew of progressive tax proposals aimed at the real estate market that could further exacerbate these problems. Much has been made about the threat these new, technology-based models pose, but brokers said they are often more distractions than true disruptors. Mario Greco, broker with Berkshire Hathaway HomeServices KoenigRubloff Realty Group, said the iBuyer model doesn’t make sense for many home sellers, especially in a robust market like Chicago. Instead, the biggest issues facing a broker’s business are market factors. Declining sales are compounded by depressed inventory and a slew of new progressive tax proposals aimed at the real estate market. So how do brokers survive in the changing landscape? One way is to focus on the economics of their business, said Tommy Choi, broker-owner of Keller Williams Chicago-Lincoln Park. “The Realtor who treats themselves as a business owner will thrive,” said Choi, adding brokers will have to figure out ways to be more efficient in order to stay profitable. Laricy said brokers need to look down the road, and have a business plan for the changing market. A recession might force a sizable number of brokers out of the business, increasing opportunities for those who survive — and pounce.